Add a little heat to your sweet. 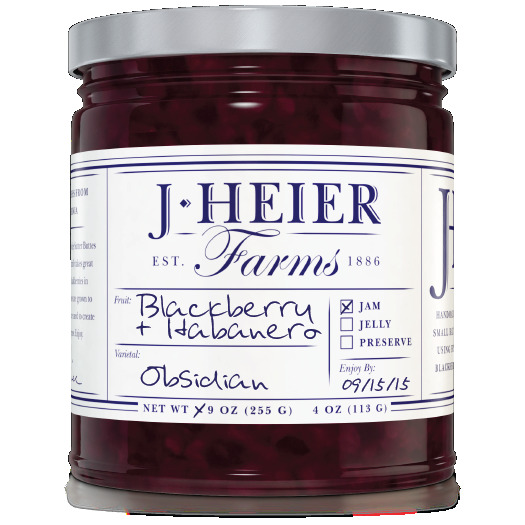 The addition of habanero to our blackberries pairs wonderfully with your favorite cheese and crackers. Give it a try, you'll love it! BLACKBERRIES, pure cane sugar, pure lemon juice AND HABANERO.